I was out at the wedding of Nicola Grainger & Paul Mc Nulty on Friday the 26th of November, I started in Nicola’s mam’s house were Nicola, Victoria & Emma-Jane were getting ready, no panic or drama all ran really well. I arrived at the church of The Holy Sprit in Greenhill’s, this was also my local church when I was a teenager when I lived in the Willington area. Fr. Curran was the Celebrant and he done a lovely mass. We had lovely music in the church provided by someone I had not heard of but were excellent Liz Mc Feely. We stopped for Pictures at Drimnagh Castle, which was just lovely and as for the castle’s interior, small as it was we got some fabulous photographs which were done by Pat Baker it was a very cold day but Pat got all the wedding photo’s he needed. We arrived at the wedding venue the Louis Fitzgerald Hotel I had not been at a wedding in this hotel before and was pleasantly surprised at how competent & professional they were. 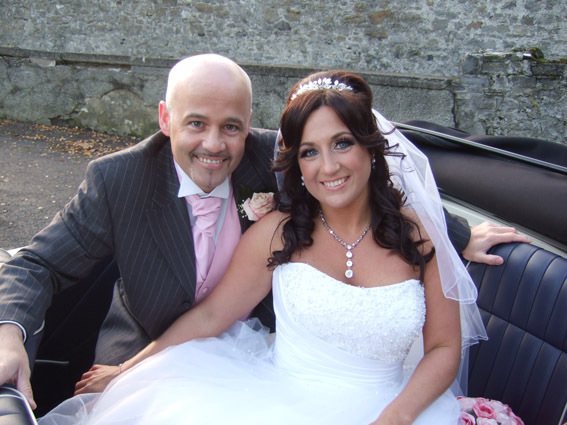 A special hello to Victoria Mc Grath the Bridesmaid whom I had the pleasure of doing her wedding video 10 years ago. 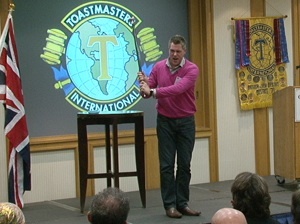 I recently filmed the Corporate Toastmasters Autumn Conference Inspire Dublin 2010. 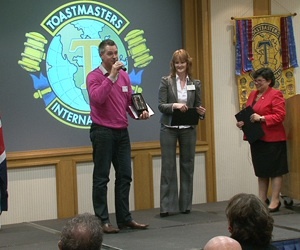 The Conference was held in the Alexander hotel in Dublin and consisted of several educational workshops and various specialities being able to do spontaneous speeches, more can be found at the web site of toastmaster. The delegates ware from all corners of Ireland and the UK. · The event consisted of two major competitions one being the Humorous Speech Contest were delegates were given 7 minutes to speak on a chosen subject and then they are judged by the delegates, all 300 of them. · The second was the Table Topics Contest were a delegate is given a subject at random and has to give a professional speech for two minutes on that chosen subject and this years was what legacy will I leave. 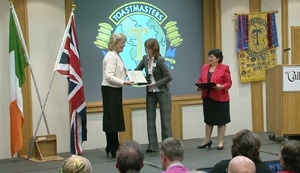 The conference was a fabulous day. I was out at the wedding of Deborah Williams & David Stephens on Saturday last the 6th of November, I started in Deborah’s house were Deborah and the girls were getting ready, there was no mad hurry as the church St Judes Church was only across the road. We had lovely music in the church provided by Dominic Mc Gorian a young tenor, I had not heard of him before but he was excellent. We went to Trim Castle for a few pictures before going to the hotel, I had not worked with Orla Murray the photographer before but she was well able to command everyone’s attention and get the best of pictures. When we arrived at Trim Castle Hotel we had a lovely welcome and as always everything ran to perfection, the small family wedding room was jut perfect. They all danced the night away to the fabulous band called vertigo. We all had a lovely day and thank you. I was out at the wedding of Elizabeth Kavanagh & Colm Wall on Friday 29th October in the lovely church of Kimmage Manor and then to the Hamlet Court Hotel. The wedding started with the girls getting ready in Elizabeth’s house were there was a great atmosphere. We had a lovely ceremony and the Music they chose was lovely, the singer was Alan Brereton and a girl singer from a new band called the Black Knights band. The weather was the worst day we’d had for a long time, it rained all day and was so disappointing Eva Powerwas looking after the pictures she had her work cut out but she got everything and was a true professional. I myself had to take a different style of shooting due to the weather. The weather did not put a dampener on the day and all their family and friends were having a great time. 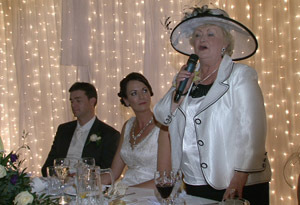 The Hamlet Court Hotel was great as usual and we were looked after by John and Mo who were on top of everything. We had the wonderful lads from the band Black Knights and they didn’t let up, they had you dancing from start to finish. I met up with Judith and Lawrence who’s wedding I did a few years ago, you can have a quick look at their wedding on Judith and Lawrence Wedding video. 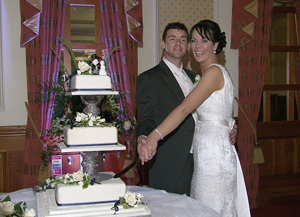 It was also great to meet Clare and Ultan who’s wedding I did in February 2009. We all had a great day despite the rain.